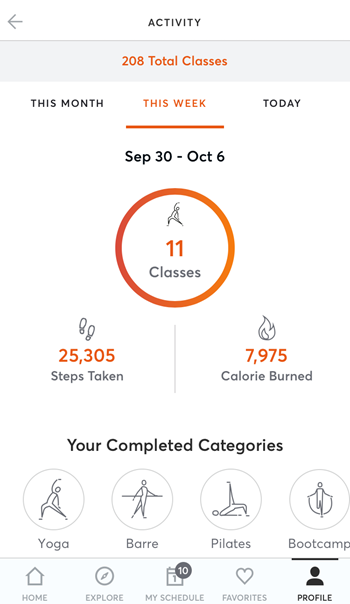 Check out your fitness stats on the Activity dashboard. 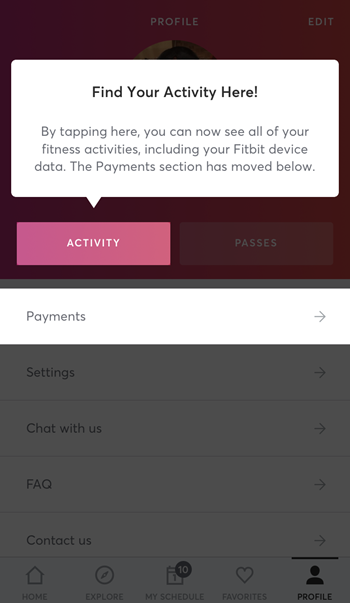 Syncing a Fitbit device will provide more info on the dashboard, such as calories burned, BPM charts, and active minutes. 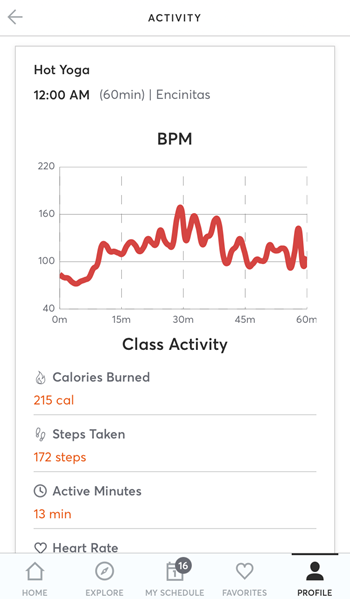 Note: The Activity dashboard is limited to classes at this time, appointment data will not appear in the activity dashboard.